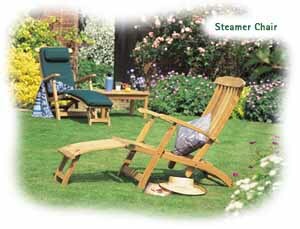 We are pleased to present a new season of fine quality garden and conservatory furniture from Teak Tiger. 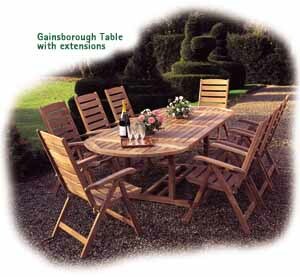 The finest quality Teak and Iroko hardwoods have been sourced and crafted to our own designs to create an extensive range of chairs, benches and tables that make a garden complete. 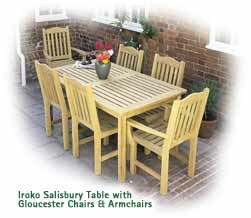 As a family business with over 25 years experience in Indonesia where we source the Teak, and West Africa where Iroko is milled, we can and do insist on the very highest standards at every stage of production. 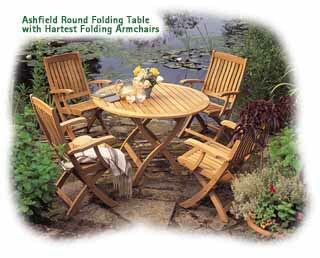 All of our furniture is built using traditional joinery techniques. personally inspect each stage of production from plantation growth, through the sawmills and on to manufacture and pre-distribution assembly and packing. 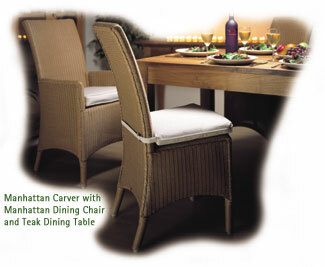 We pride ourselves in the products we create, and guarantee your satisfaction and enjoyment.